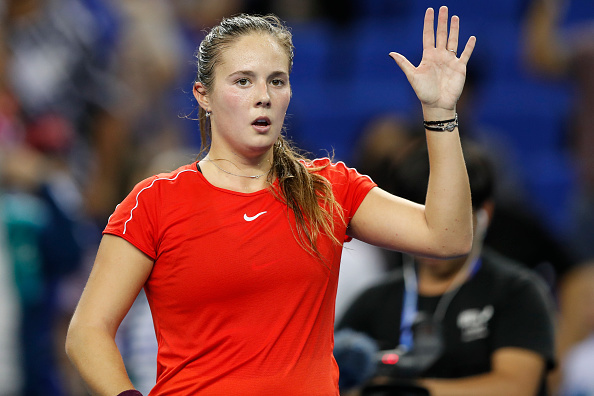 Daria Kasatkina prevailed in a tough three-setter against Wang Qiang in her opening match at the WTA Elite Trophy. 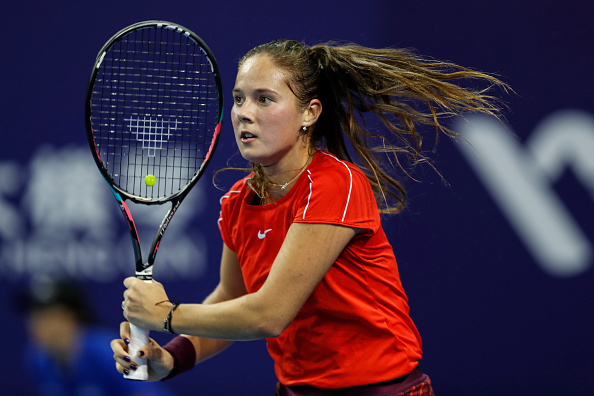 Daria Kasatkina is the only top-10 player participating in the WTA Elite Trophy this week, and the Russian truly proved why she is deserving of that ranking by grinding out a tough 6-1, 2-6, 7-5 win over local favourite and the red-hot Wang Qiang. 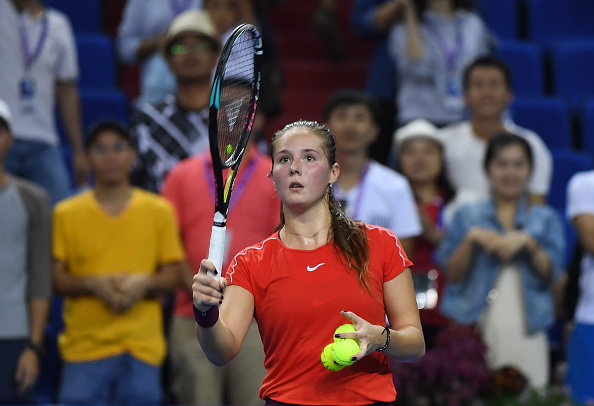 The Russian struggled physically and mentally but rebounded to beat the hard-hitting Chinese after nearly two hours of action, getting the perfect start in Zhuhai. Wang’s chances to qualify for the semifinals are now in jeopardy as she will not get to decide her fate. The only possible scenario for her to qualify would be for Keys to beat Kasatkina in straight sets while she needs to defeat Keys, a player whom she has never defeated in the past, in straight sets as well. However, Kasatkina can seal her spot in the semifinals with a win over Madison Keys on the second day of action. 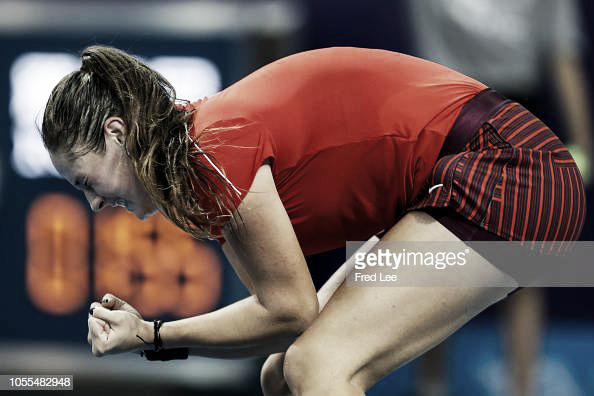 Surprisingly, it was Kasatkina who came into the match as the slight underdog as Wang had reached five consecutive semifinals in the Asian Swing and broke into the world’s top-25 for the first time in her career. Having taken a break from competition for two weeks, Wang looked to continue riding on her momentum in Zhuhai after sneaking into the last direct qualification spot. However, she faced a tough opponent in her first match as Moscow champion Kasatkina looked to consolidate her spot in the top-10. The Russian started the match pretty well — recovering from a 0-30 deficit in her opening service game before firing a fantastic backhand winner to claim the confident service hold. 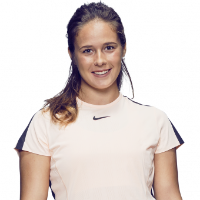 It seemed as though Kasatkina was attempting to be more aggressive on the returns although it backfired in the early stages as multiple errors were produced. Wang’s power seemed to be too good for Kasatkina, who was struggling to deal with the pace and consistency of the Chinese’s game. Nonetheless, the Russian excelled at what she does best — extending the rallies and grinding out the points. Kasatkina prevailed in a thrilling 22-shot rally and forced an error from Wang, ultimately saving three break points to hold serve. Everything seemed to be going Kasatkina’s way as Wang just could not find her groove. She produced a series of unforced errors and fell behind by a set and a break which saw her being in deep trouble. However, just one loose service game from the Russian was enough to change the dynamics of the match. Wang broke straight back, converting her first break point of the night after missing three previous opportunities to level the scores in the second set. Kasatkina struggled on her serve as she won just five points in her service games throughout the entire second set, while Wang was firing strong returns which Kasatkina could not handle. The 11th seed eventually took the second set 6-2 and seemed headed towards a three-set victory. After an exchange of service holds to begin the final set with, it was a break fest between Kasatkina and Wang in the decider. Neither could find their range on serves — with Wang often misfiring and Kasatkina sending in serves barely reaching the 100 km/h mark which allows her opponent to pounce on them. 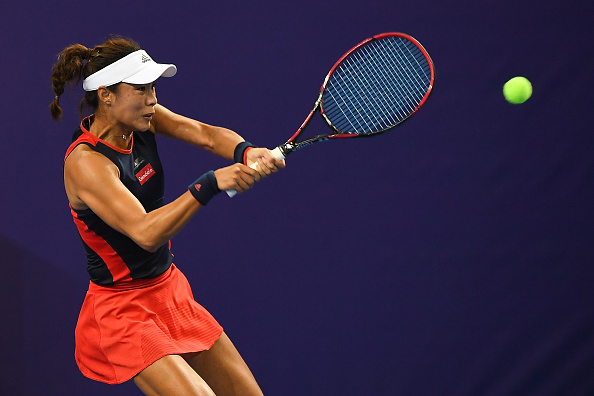 Long and gruelling rallies started to tire both players as Wang looked to be running out of steam while Kasatkina was fighting against her own body as well. Serving for the match on the second occasion, the Russian finally held her nerves and pounced on her opponent’s errors, claiming the excellent three-set win to grab the perfect start to her Zhuhai campaign.